‘Language is simply a tool to express concrete reality, not an end in itself’, says author Louise Stern, as she reflects on its place in her first novel, Ismael and His Sisters. Set in a village in Mexico, where the inhabitants exclusively use sign language, the book explores how three deaf siblings exist in a world where the spotlight is turned on communication, and language is both a bridge barrier between a self-contained community and the wider world. Though she is a relatively new writer (Chattering, her book of short stories, was published in 2011), there is a strong authorial voice that resonates in her work: a sense, as she astutely puts it, of saying what needs to be said. This becomes particularly apparent when asked how she feels the deaf community is represented in the arts. Her response she is clear, blunt, and wonderfully exact: ‘horribly’. Stern’s writing is the perfect antidote to tokenism. It is full of characters carved from knowledge, experience and heart; something Edinburgh audiences can experience for themselves when the author appears here in August. Working with Omar Elerian, an associate director at London’s esteemed Bush Theatre, Stern and her long-time interpreter / collaborator Oliver Pouliot are presenting a creative performance / reading of the book, followed by a moderated discussion on its content. It’s a chance for her to communicate with audiences the way her characters communicate on page: thoughtfully, honestly and memorably. The performance will be a unique expression of her literary work, though this is not the first time she’s experimented with exploring creative ways of presenting her writing. ‘I’ve worked with different mediums – video, performance, photography for example – trying to understand how I could remain faithful to the visual nature of sign language and to its visceral, dramatic essence through written words without betraying my community,’ she says, whilst acknowledging that the whole experience for her has been ‘a process’. That process has taken Stern around the world and she now brings her work to Edinburgh, the City of Literature and home to a massive celebration of the written word. While she admits that appearing on a bill alongside some of the world’s greatest authors is somewhat intimidating, ‘it’s mostly inspiring and a motivation to keep going. Edinburgh definitely has something that I identified with literature while growing up: an appreciation and characterful-ness.’ That is a description which could easily be applied to Louise Stern herself: full of character and irrevocably linked with the language of literature. 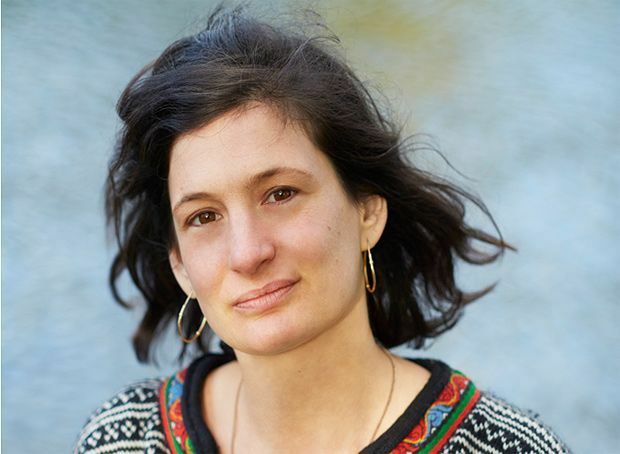 Louise Stern, Edinburgh International Book Festival, Charlotte Square Gardens, 0845 373 5888, 30 Aug, 7pm, £7 (£5).